For those of us who follow consumer healthcare headlines throughout the year like yours truly, mid-January can be a bit of a slog. Aside from the litany of 2019 prediction articles, there's little in the way of hard personal finance or healthcare news around this time of year, but every once in awhile, convention can be turned on its head. So imagine my surprise when I was checking headlines in preparation for this article when I happened upon a new bill making its way through the Senate, the Health Savings Act of 2019, introduced by Senator Marco Rubio (R-FL). For this edition of HSA Headlines, we're going with a series of new regulations that could make many headlines in the future. Let's take a closer look by examining the most important provisions from the bill's text. The Health Savings Act of 2019 was introduced in the Senate on January 3, 2018, and includes many regulations that were in the previous HSA expansion bills passed by the House of Representatives in the summer of 2018. There are a lot of interesting pro-consumer provisions in this bill, so let's dive in and explain what they all mean. Catch-up contributions are an important HSA provisions that allow account holders age 55 and up to contribute $1,000 above the yearly HSA contribution limit to maximize their retirement savings. Only the primary account holder can currently contribute this extra to their HSA, but the new bill would allow both spouses age 55 and up to contribute an extra $1,000 annually to the same account. The OTC Rx provision is the rule established in the Affordable Care Act that requires FSA/HSA users to obtain a prescription from their doctor to purchase over-the-counter medications like Advil, Benadryl, etc. The Health Savings Act of 2019 would repeal this rule and would treat OTC medications as any other eligible product that can be purchased with FSA/HSA funds, with no additional restrictions. The bill would also expand how much money you can contribute to an HSA on a yearly basis to match the current deductible and out-of-pocket max limits. So for 2019, the current HSA contribution limits are $3,000 for individual health plan participation and $7,000 for family coverage, if passed this would increase them to $6,750 and $13,500, effectively doubling them! This is a huge one. The Health Savings Act of 2019 opens up fitness equipment and gym memberships to fall under the IRS's definition of "medical care." This could open up millions of new fitness products to FSA and HSA spending, while giving users the opportunity to join a gym, health club or nutrition program to improve their overall health and use their FSA or HSA funds to do so. Last but not least, the bill would expand the amount of available vitamin supplements that are available for FSA and HSA spending. The bill's text states that this could cover herbs, vitamins, minerals, homeopathic remedies, meal replacement products, and other dietary and nutritional supplements. 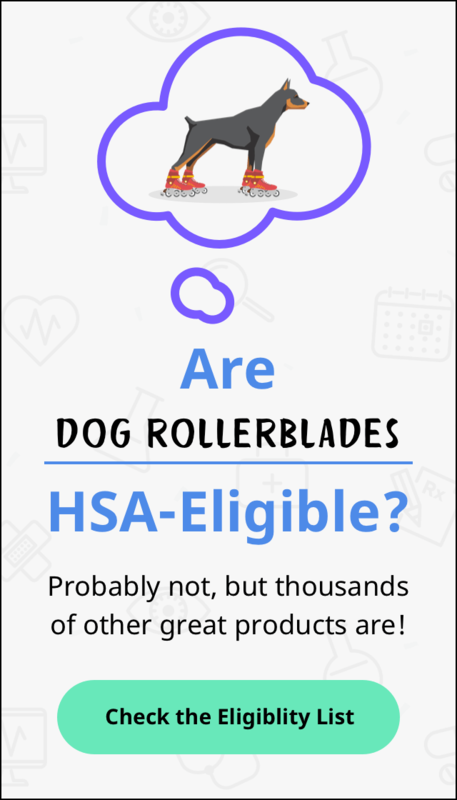 That's a very broad definition, so it remains to be seen what types of products will be eligible for FSA and HSA spending, but this is a marked change from the past when the IRS considered these items as "general health" products, and not inherently medical.